(R.A.F.R. Records) Wow!!! The Toilet Boys are a pure power glammed up quartet from the streets of New York City that weld punk rock with all the class of glam rock. 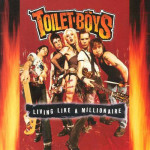 “Living Like A Millionaire” is a 6 song E.P. 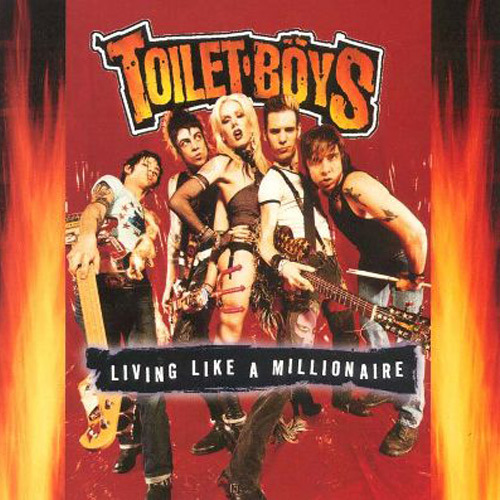 from the tattooed boys who know how to rock, have fun, and to write a great teenage anthem like Motley Crue or Hanoi Rocks. The lead singer, Guy, is a drag queen doing his best impersonation of Cherie Currie of the Runaways. Turn It Up is a passionate plea to turn the smokin’ music up and rock. I just want to know if Adam Vomit regurgitates on stage.